An ongoing topic of discussion here at The Boxing Truth ® that readers have become accustomed to in recent months has been the state of the Welterweight division. Of course much of the discussion for a significant period of time centered around the fight that was deemed by some to be the “Fight Of The Century” between Floyd Mayweather and Manny Pacquiao. Following Floyd Mayweather’s victory over Pacquiao on May 2nd however, Mayweather announced his intention to relinquish the world championships he currently holds in both the Welterweight and Jr. Middleweight divisions. Although Mayweather has not as of this writing vacated his world championships, the WBC/WBA /WBO Welterweight world championship and the WBC/WBA Jr. Middleweight world championship, both weight classes one might argue have been in limbo while Mayweather contemplates what he wants to do. In regard to the Welterweight division, fighters such as Amir Khan, Robert Guerrero, Kell Brook, Shawn Porter, and Timothy Bradley have all recently entered the ring. If Mayweather does indeed relinquish his world championships, it will open opportunities for fighters to position themselves to fight for vacated world titles. Another important question will be if any of these fighters will potentially be in the discussion to possibly face Mayweather in September, in what could be the final time Mayweather enters the ring as a fighter. Both Amir Khan and Kell Brook were successful against their recent opponents. Khan scored a hard-fought twelve round unanimous decision over former Jr. Welterweight world champion Chris Algieri on May 29th in Brooklyn, New York. Brook meanwhile, was successful in defending his IBF Welterweight world championship stopping top contender Frankie Gavin in six rounds on May 30th in London, England. Robert Guerrero recently earned a hard fought split decision over journeyman contender Aron Martinez on June 6th in Carson, California. Although one might argue that Guerrero’s standing in the Welterweight division currently is not one of a fighter who is close to fighting for a world title, it is important to remember that Guerrero does have name recognition value and could find himself in an opportunity to fight for a world championship should one present itself, especially if Mayweather vacates his three Welterweight world championships, which would leave three vacancies at the top of the division. 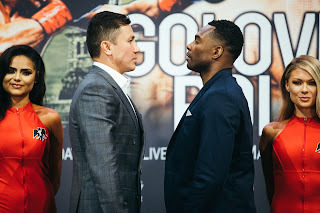 On June 20th Shawn Porter scored a lopsided twelve round unanimous decision over former three-division world champion Adrien Broner at the MGM Grand in Las Vegas, Nevada. Porter, the former IBF Welterweight world champion one might argue could be a front runner for a potential bout against Mayweather based not only on Broner being a protege of Mayweather’s, but also Porter’s overall solid performance in a fight that he dictated and controlled pretty much from the opening bell. Despite suffering a knockdown in the final round of that fight, Porter was very impressive against a fighter in Broner who is known for his solid defense and accurate offense. As for Timothy Bradley, he entered the ring to do battle on June 27th in the same venue that Robert Guerrero fought Aron Martinez, the StubHub Center in Carson, California. Bradley’s opponent was Jr. Welterweight contender Jessie Vargas. The fight was to determine interim championship status in the World Boxing Organization’s (WBO) Welterweight ratings. Originally, this fight was announced as being for the vacant WBO world title in the Welterweight division, but it was announced that Floyd Mayweather had been given an extension by the WBO to decide whether or not he was going to relinquish its welterweight world championship. This changed the Bradley-Vargas fight from being for a world championship, to determining a mandatory challenger if in the event Mayweather chooses to keep his WBO world championship. For Bradley, it was his second fight since losing the WBO Welterweight world championship in his rematch against Manny Pacquiao in April of last year. Boxing fans of course remember Bradley being declared the winner of their controversial first encounter in June 2012. Although many observers, this one included felt that the decision in the first fight between the two should have gone to Pacquiao, no one can deny that Timothy Bradley is the kind of fighter that gives it everything he has every time he steps in the ring. Despite suffering the effects of the controversy of that fight, Bradley is still one of the best Welterweights in the world. Bradley however, was looking for his first win since losing the WBO championship back to Pacquiao last year after battling to a split decision draw against Diego Chaves in December of last year. In Vargas, Bradley faced an undefeated world-class boxer, who was moving up in weight and currently holds interim/regular champion status in the WBA’s Jr. Welterweight ratings. In what was a competitive fight, Bradley was able to consistently force the action and gradually outwork Vargas over the course of twelve rounds to earn a lopsided unanimous decision. For Bradley, it was an impressive performance against a highly skilled world-class boxer in Vargas. With Khan, Guerrero, Brook, Porter, and Bradley all victorious in their recent bouts a question that some might have is how this will all impact the Welterweight division going forward. In terms of Timothy Bradley, his victory over Jessie Vargas earned him essentially a world championship opportunity at some point down the line. Whether or not Bradley will find himself in position to fight Mayweather for Mayweather’s unified world title remains to be seen. If however, Mayweather does follow through with what he stated following his victory over Manny Pacquiao and relinquishes all the world titles he currently holds in both the Welterweight and Jr. Middleweight divisions, a fighter in Bradley’s position could find himself in one of two scenarios. The first scenario would be Bradley, the number one contender facing the next highest available contender to determine a new WBO world champion. The second, and perhaps more likely scenario could be that since Bradley now holds interim championship status in the WBO’s Welterweight ratings that the sanctioning organization may simply declare him the new champion if in the event Mayweather either relinquishes his title or is stripped of it for failing to defend against the WBO’s top contender. It is a situation that is not all that unlike the situation that undefeated Welterweight contender Keith Thurman could find himself in. Thurman, who currently holds interim/regular champion status in the WBA’s Welterweight ratings is scheduled to face former WBA Welterweight world champion Luis Collazo on July 11th in Tampa, Florida in a fight where Thurman’s interim status will be at stake. It is certainly possible that the winner of that fight could be named WBA world champion if in the event Mayweather relinquishes his titles. As for Khan, Brook, and Porter, it is logical that either of the three could be potential Mayweather opponents and it is certainly possible that two of the three could face each other down the line. In the case of Porter and Brook, a potential rematch between the two for the IBF world championship is possible and as this observer stated following Porter’s victory over Adrien Broner, the fight between Porter and Brook was extremely close, could have gone either way, and had all the ingredients that warrants a second encounter. If Porter or Brook were to face Amir Khan, either fighter would present an interesting stylistic challenge for Khan. Whether either these fighters are in consideration for a potential fight with Floyd Mayweather in September remains to be seen. It will however, be interesting to see whether the winners of two upcoming Welterweight fights can enter themselves into the discussion of either potential world title challengers and/or potential Mayweather opponents. In addition to Keith Thurman’s fight against Luis Collazo on July 11th, undefeated unified WBC/WBA Jr. Welterweight world champion Danny Garcia will move up in weight to the Welterweight division to face former two-division world champion Paulie Malignaggi on August 1st in Brooklyn, New York. No matter who should win those fights and how the scenario regarding the Welterweight division and three world championships that are currently held by Floyd Mayweather plays out, the 147lb. Welterweight division remains one of the most competitive weight classes in the entire sport of Boxing. No matter what happens it is a division that will likely stay a topic of discussion for Boxing fans and experts alike for quite some time to come.